Yesterday the New York Post’s Joel Sherman detailed how much money Mookie Betts has turned down in recent years. Mookie then gave an interview to Red Sox reporters this morning detailing how he loves it here, but will be going to free agency instead of signing a long-term deal. Cue the hang wringing across Red Sox Nation. But the fact Mookie is going year to year for the next two years makes him the greatest value in the majors right now. Betts and the Red Sox recently agreed on a $20 million contract for 2019. That set a record for a player who was subject to salary arbitration. There was speculation that Nolan Arenado would break that, before he signed an 8 year $260 Million contract instead. Mookie has one more year of arbitration before hitting his goal of free agency. If he follows up 2018 with something similar in 2019 he’s going to set an all time record in arbitration that will be hard to beat. The Red Sox have Mookie under arbitration control for only this year and next. He will become a free agent after the 2020 season. 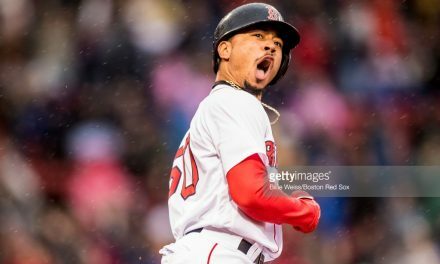 In 2018 Mookie Betts had a 10.9 WAR according to Baseball Reference. That is 21st on the All Time list. Number one is Babe Ruth’s 1923 at 14.1, second is Ruth’s 1921 at 12.9. You get the picture. The only post 2000 seasons in front of Mookie’s are Barry Bonds in 2001 and 2002. 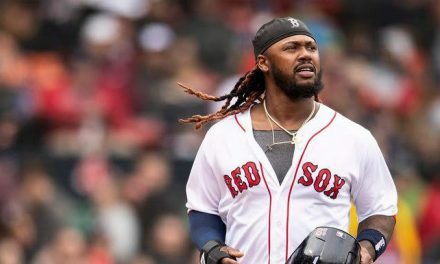 A lot of uneasiness is coming from Mike Trout, Bryce Harper, Manny Machado, and Nolan Arenado signing long term deals, while Mookie is refusing to. None of those players have a higher WAR season than Mookie has right now. Currently teams are agreeing on 8 to 10 year contracts at $30 plus million dollars for the privilege of having those players on their teams. None of those guys, including Trout, has ever had a better season than Mookie. Trout is the only one with an argument. Harper’s best season was his 10 WAR season in 2015. Again, the Red Sox are paying Mookie Betts $20 Million this year. If he is true to his word, he will not sign a long-term extension before hitting free agency. How many long term contracts have ever worked out in the Major Leagues? Albert Pujols, Miguel Cabrera, Joey Votto, Alex Rodriguez, Robinson Cano – these are cautionary tales. Yes, Harper and Machado, and Trout and Arenado to a lesser extent, are all younger that those other guys when they got those big contracts. But injuries, declining performance, bad team relationships, and PED use are among the many risks that come with long term deals. The Red Sox have the luxury of the possibility of two more outstanding seasons from Mookie Betts at the shortest possible term. Yes, it would be painful to see him in another uniform. 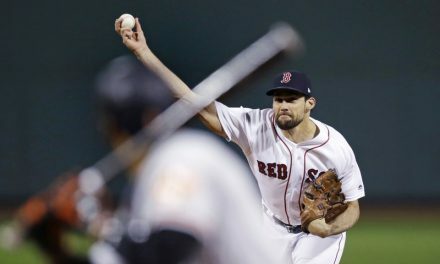 But the Red Sox cannot make him sign a contract. This is a reason for celebration Sox Nation, not doom. If the Red Sox win the World Series again in the next two years, then lose Mookie Betts to another team in free agency, that is a win. And give it time. 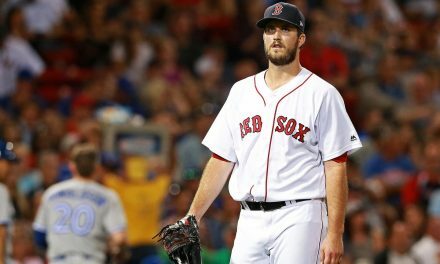 The Red Sox can never be counted out when it comes to paying out big contracts. The big payroll situations come at the end of 2019. They can meet any rivals head on when Mookie’s free agency hits after 2020. PreviousWhat Kind of Date Should I Take to Each of the Big Four’s Games?